Knitting doll for knitting long cords and accessories, such as jewelry, belts and scarves. 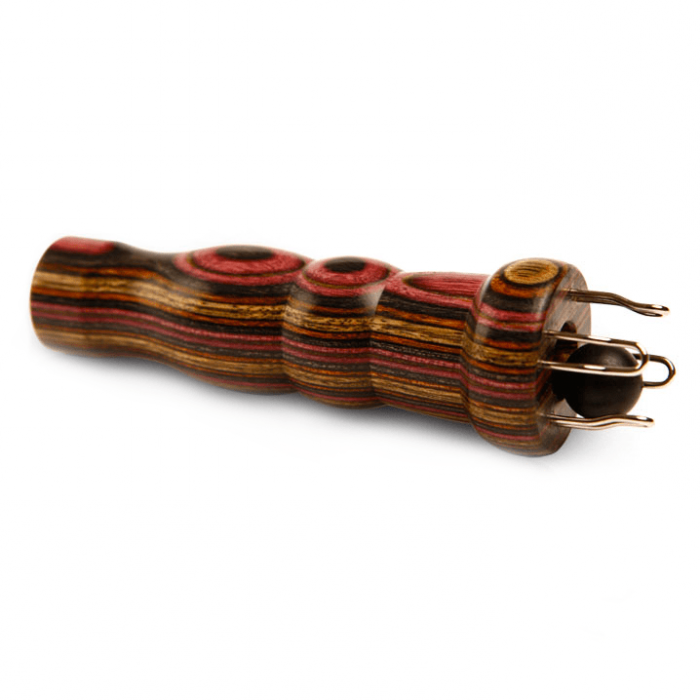 Available in two versions: one in the multi-colored Symfonie wood, which we know from KnitPro, and one in red made of laminated birch wood. Knitting instructions comes with the knitting doll. Beautiful item. Smaller than I anticipated; however, fits easily into my knitting supply bag so this is a bonus! Happy with my purchase.